8th July 1916. 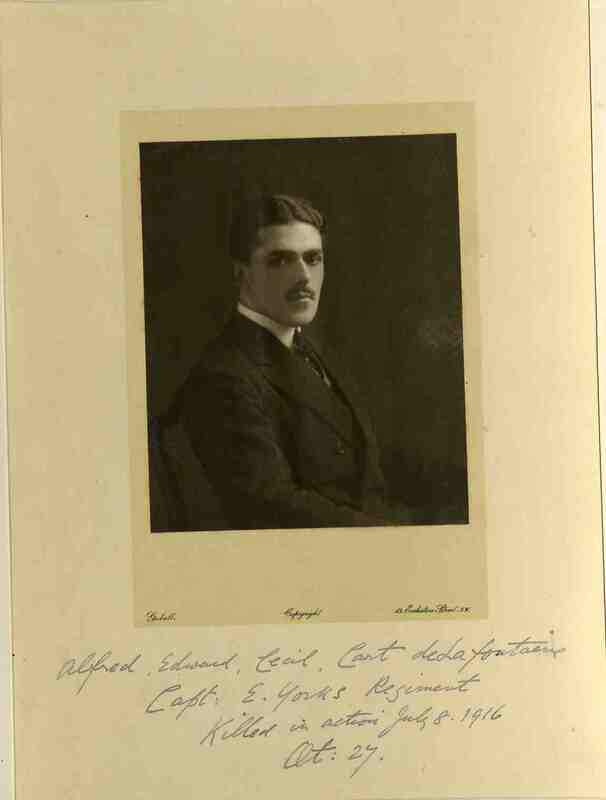 Alfred Cart de Lafontaine, MC. C Social 1903. Captain, East Yorkshire Regt., 76th Infantry Brigade (attached Headquarters Staff). Killed in action at Montaubon, Battle of the Somme. Citation for the Military Cross: For conspicuous gallantry and coolness during the attack on Hooge on 9th August, 1915, when he reorganized portions of several companies and led them back to their original positions under heavy shell fire. He was a career soldier who joined the King’s Royal Rifle Corps on leaving school. He became a staff brigade captain early in 1916 and was twice Mentioned in Despatches. A silver ‘loving’ cup engraved with the College arms was given to Radley in his memory by his uncle in 1920. He married Evelyn Palmes in 1913. 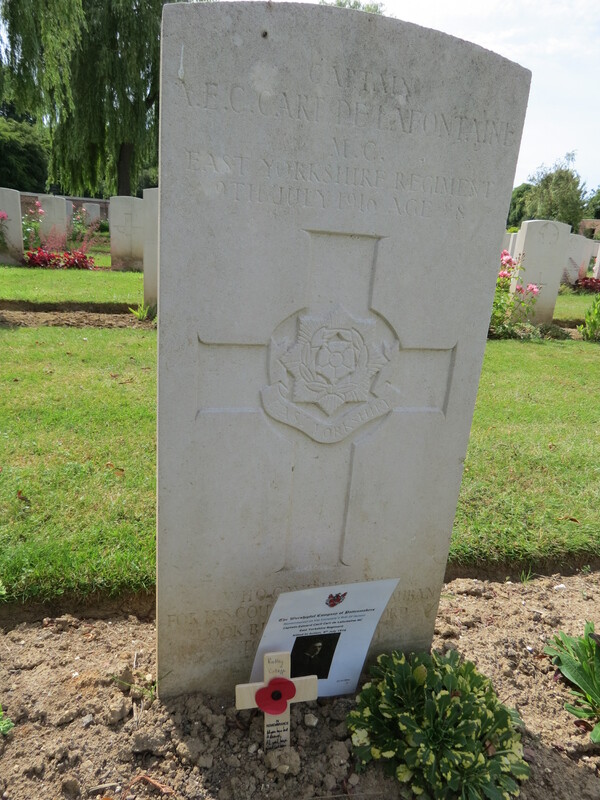 Posted in Commemorating the Fallen of WW1 and tagged 1st Battle of the Somme, C Social, Captain, career serviceman, Flanders & France (Western Front), killed in action, Marching in Memory for Combat Stress July 2015 on 8 July, 2016 by archives602.